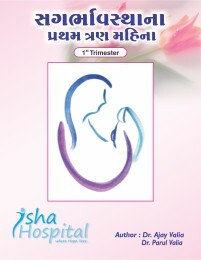 Department of Obstetrics & Gynecology, and Paediatrics Department of Isha Multispeciality Hospital, imparts knowledge and information on pregnancy , reproductive issues and motherhood, addressing the Antenatal Care, Postnatal care, infertility issues, counselling and treatment options available at Isha Multispeciality Hospital. 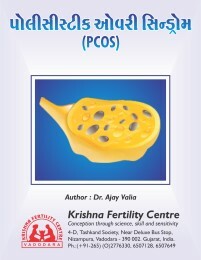 Dr. Ajay Valia, an eminent expert in the field of Gynecology & Infertility, from his last 30 years of experience and richness of knowledge, has written many books on his subject, sharing his vast experience and treasure of knowledge, to reach out the world, and educate them on the subject. 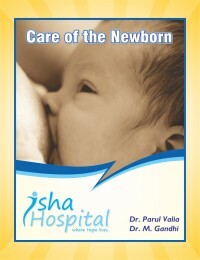 Dr. Parul Valia, an established Paediatrics consultant, shares her words of wisdom on Baby care & Breastfeeding. 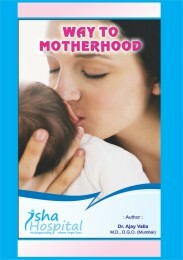 These books are meant for educational purpose and are helpful in making people aware of the Myths & Facts. 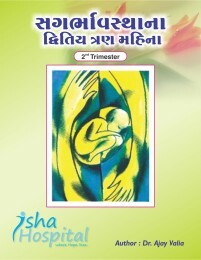 Taking into consideration, the patients demographic & geographic location, these simple books are mainly written in Gujarati as well as English language, in very simple words.